Postcode The definition of a valid postcode should be taken from the official specification of UK Government Data Standards Catalogue. Please select the total number of passengers. This includes baby seats. The details of the baby seat will be confirmed in later stage of booking. Car seat will be provided. A maximum of two car seats can be booked for any journeys. You should provide the age of baby/babies to provide you an appropriate car seat, an extra charge of £5.00 will be charge per seat unless you provide yours. Select Date of journey. Please note that at least 24 hours advanced notice is required. 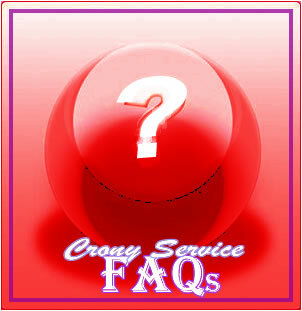 Please call Crony Cars on +44 (0)208 656 4509 to book your emergency journey if is less than 24 hours. You may book your journey for a maximum of six month in advance. Select the "hour" and "minutes" of the journey. For journey to the airport, this is the pickup time. For journey from airport, please enter the time as the scheduled arrival time and further information will be required in later stage of booking. To place an order with your credit card, we need to know the security number from the reverse of the card. This is used by the credit card company to identify you as having the card in your possession when placing the order. Your card will not be authorized and hence your order will be rejected if you do not enter the correct digits.Depending on the age of the card the security number is the 3 digit number printed on the signature strip on the reverse of the card as shown in below. We work on just about any computers out there, and can fix almost anything quickly." You will know all costs, including VAT, before we do anything. No surprises. My data, is it safe with you? "Absolutely! We never remove or otherwise touch your data apart for backup purposes (which we'll always go over with you first.) We take data security very seriously, and are trusted by large companies with their most sensitive data." "Yes. We personally handle all pickup and delivery of your computer, if you are local to London. If you are anywhere else, we use couriers. Cost to fix it isn't worth it? With older computer repairing or upgrading might cost or go beyond your budget- in cases like this, if you want your we can rederiveier you computer back, there is a return shipping fee of £40.00. Alternatively if you don't want your old computer back, we can recover the data or arrange the hard drive to be sent back then we can recycle the computer for you.